DATE STILL TENTATIVE, CHECK WITH YMCA! The Barber to Boise is back! 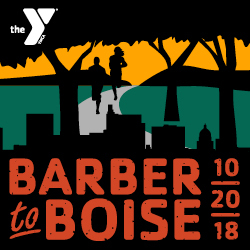 Enjoy the fun tradition of the Barber to Boise this October with your family. Start the Fall with a run to set the season right! The 10k will start at Barber Park and finish at Ann Morrison. The 5K will join the course off of Parkcenter Blvd. and finish at Ann Morrison. Albertson’s Headquarters off of Parkcenter Blvd. Stop by packet pick up at Bandanna Running and Walking (504 W Main St, Boise) to collect your race packet, t-shirt and some swag. We highly recommend picking up packet on Friday. Bib numbers will be available Saturday morning at the starting lines of each distance but shirts and packets will only be available at the finish line on Saturday. Shuttles:We will provide shuttles from the finish line to the starting lines of the 5K and 10K. 5K Shuttles – The shuttles for the 5K will start at 7:30am, last shuttle leaving the area at 8:30am. 10K Shuttles – The Shuttles for the 10K will start at 7:30am, last shuttle leaving the area at 8:30am. You can park in Ann Morrison Park, the 917 Lusk Building paved and dirt lot, and the BSU Health Sciences Riverside Lot on the west side of Capitol Blvd. When parking in the BSU lot remember your space number then proceed to a pay kiosk. Again Remember your space number and select “Barber to Boise” on the screen. The kiosks will walk you through step by step.